This lesson is designed to journey through the book of "Revelation". In this lesson we will briefly review the seven main visions of Apostle John, and Biblical prophecy symbols & their meanings. The student will explain the circumstances of the writing of the Book of Revelation. The student will identify and understand what the main symbols in Revelation represent. 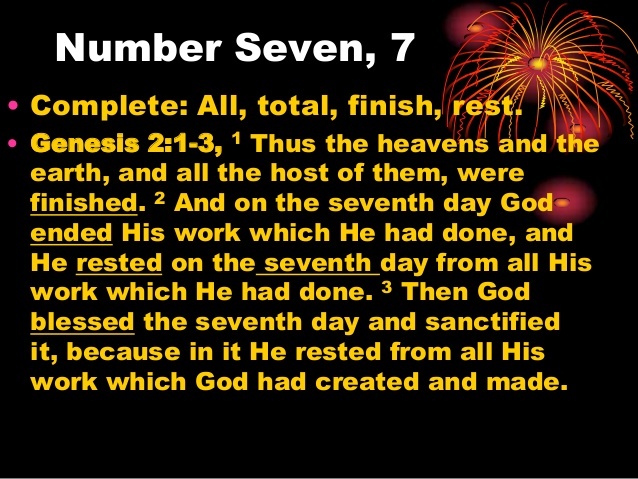 The student will identify and understand what the the number seven in Revelation represent. DIRECTIONS: Listed below are a list of most Biblical Symbols" and specific Biblical scriptures for reference. Please study each symbol. 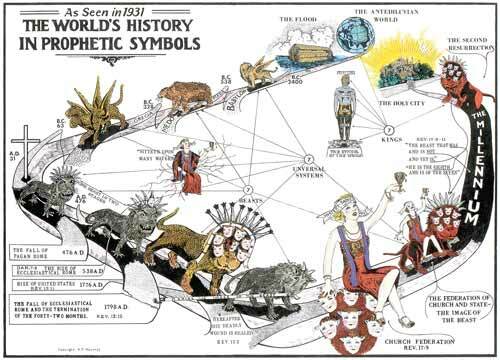 Why cloak Bible prophecies in Symbols? And Jesus said, "To you it has been given to know the mysteries of the kingdom of God, but to the rest it is given in parables, that Seeing they may not see, And hearing they may not understand." Luke 8:10. Many of the apocalyptic prophecies were given while the prophets were in a hostile foreign land. One reason God cloaked the prophecies in symbols was to protect the messages. Many of the numbers in the Bible have deeper prophetic significance. Both in the Old and New Testaments, numbers reveal hidden concepts and meanings that commonly escape the casual reader. And throughout history, men with great minds, like Augustine, Isaac Newton, and Leonardo Di Vinci, showed more than just a passing curiosity regarding the importance of biblical numbers. Once more, Jesus said, "The very hairs of your head are numbered" Matthew 10:30. Obviously, Bible numbers should be carefully considered. DIRECTIONS: Listed below are a list of most Biblical Numbers" and specific Biblical scriptures for reference. Please study each number and the scriptures provided. 2 – represents the truth of God's Word; for example, the law and prophets (John 1:45), two or three witnesses (2 Corinthians 13:1), and a sword with two edges (Hebrews 4:12). See Mark 6:7 and Revelation 11:3. It is also used 21 times in the books of Daniel and Revelation. 6 – represents the worship of man, and is the number of man, signifying his rebellion, imperfection, works, and disobedience. It is used 273 times in the Bible, including its derivatives (e.g, sixth) and another 91 times as "threescore" or "60." Man was created on the sixth day (Genesis 1:26, 31). See also Exodus 31:15 and Daniel 3:1. This number is especially significant in the book Revelation, as "666" identifies the beast. "Here is wisdom. Let him that hath understanding count the number of the beast: for it is the number of a man; and his number is Six hundred threescore and six" (Revelation 13:18). 50 – represents power and celebration. The Jubilee came after the 49th year (Leviticus 25:10) and Pentecost occurred 50 days after Christ's resurrection (Acts 2). Before we began studying Revelations, what thoughts come to your mind when you heard the "Book of Revelation?" From what you know about the Book of Revelation, what would you say makes it different from any other book in the New Testament? We read the Bible assuming that their words are to be taken literally. However, we assume the opposite, that most will be figurative. How do we determine whether a statement is to be taken figuratively or literally? How do we determine whether a statement is to be taken figuratively or literally? Use this sentence, for example: "I'm burning up." How would you take that? Why?